We also expect the travel industry to be hit on several fronts by non-provincial residents choosing to stay home. Tourism hotspots such as lakefront recreation, winery tours, the sale of fuel to travellers, and the airline industry — multiple homeowners in Victoria and Kelowna fly back and forth if not every weekend, at least monthly from Calgary, Edmonton and points east on non-stop Air Canada and other carriers. That traffic will decrease. It isn’t too late to make this right. We adopted a policy resolution at our 2018 Annual General Meeting recommending the government eliminate the tax altogether, and if not, at least pause and publish a detailed economic study and establish key performance indicators which measure the tax’s performance against the government’s stated expected outcomes. 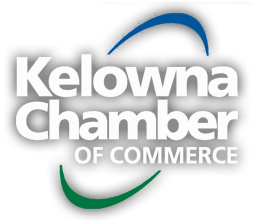 Not surprisingly, this policy was submitted by the Kelowna Chamber, which represents one of the hardest-hit speculation tax catchment areas. Housing affordability can be addressed while protecting B.C.’s economy. This won’t be achieved through imposition of punitive taxation, and the driving away of developments, but by focusing on creating the right balance of rental and market housing options. There is a path forward but the one we’re currently on isn’t leading to better outcomes for the 99 per cent in B.C.